My Songs is a small collection of poems (34 in all) written by this Indo-English poet who lives in India, and edits the international literary journal KOHINOOR. Of utmost importance is the dedication that introduces this collection: “Dedicated to the suffering humanity”. From the opening of this collection, the reader notes that Choudhary’s role is to give voice to those who are cast away by society. Thus the social theme is a very important one in My Songs. In Awake he strongly invites mankind to open its eyes in relation to wars and destruction. These are the consequence of what the poet calls “pig’s philosophy”, that is, the kind of reasoning which the superpowers and the greedy uphold. Choudhary asks, “Where is epiphany?”, or more simply, when is mankind going to understand that greed, corruption, war, manipulation of the weak, and suffering are going to lead us to total destruction? Other poems linked to this theme are Hell, and India. In the latter, Choudhary (the poet as a voice of conscience) writes that “Modern Ashoka, Kautilya and Akbar/ have become nests of viper”, and shouts, “O Uncle Sam! Pay attention for sufferer’s claim.” In Leader, the poet knows of no half terms; for him he who uses power against the weak is a “Befooler of the pauper!”, master of “duplicity”, “A wolf in sheep’s clothing/ sheds crocodile tears for the suffering”, and a “Blood suckler of the sufferer!”. In The Poor, Choudhary plays with the meaning of “pauper” and “poor” which for him assume a semantic difference: “paupers are not the time’s fool/ But time’s best Jewel”, and “The poor are those/ Who play false”. For Choudhary the big problem is not with those who are materially poor (the “best Jewel”), but with those who “play false”. Arbind Kumar Choudhary writes about Death, and calls it “a true communist” (in the sense that it is equal to all). He describes The Earth as a space where opposite forces (bad and good, “vipers” and “party-poopers” on the one hand, and “the willow”, “the meadow” and “straw” on the other) coexist. In Friend, the poet upholds love and friendship (“best jewel”, “A boon in life!”), but is far conscious that in this world these are threatened by “sworn enemies”, these being “Lack of wisdom”, “Nepotism”, “cosmopolitanism” and “wealth”, described by Choudhary as “a wild goose chase/ For such a bird of passage” (see The Rich). In Terrorism, Choudhary writes that “Lack of love and wisdom/ Stirs raw mind for terrorism”. About Modern Man, the poet writes, “Man is the prize idiot of the earth/ while woman has a filthy faith”. About Religion the poet writes, “Religion is an intoxication”, and that “It is a tribulation/ if lacks meditation”. Even though Choudhary is well conscious of the evil that reigns in this world, he also writes about positive things. In Bride he describes her beauty (“The vision of her physical fervor/ stirs sensations everywhere”). In The Ganga, the poet describes the river Ganges as “The watery ambrosia and Gloria”, “The enigmatic flow”, “a congregated might”, where “filth/ Is sunkened by her inrush”. Thus, this river has the necessary healing powers regarding mankind’s real weaknesses. In many ways this is linked to what the poet writes in Nature: whatever mankind’s evildoings are, Nature will always have the last word. Thus mankind (“maladroit”, “coward”, “cadger”, “perverse”, “infernal”) and nature (“a shaping spirit”, “bard”, “an ethereal minstrel”) are put in direct contrast in Nightingale. For Choudhary Nature and Spring are synonymous to “celibacy” and “virginity”, in contrast with mankind’s corruption, greed and insanity. Choudhary compares Love to an “ocean/ Where junction of souls is empyrean”. He also calls the Poet a “Sage”, and he who watches “weltanschauung without wastage” (“weltanschauung” being the poet’s vision of the world). 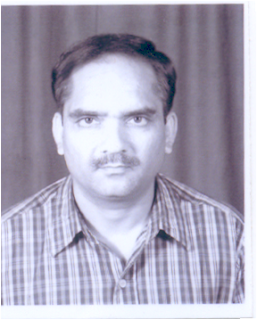 The poems of Choudhary are called by him “songs”. In fact, the play on sounds and melody are a solid presence; thus, his poems are also meant to be sung. This is done through the frequent use of alliterations, assonances, internal rhymes (“Willowing and sparkling/ Are darling of the spring”, see The Spring), and mono-rhymes (“nebulosity/generosity/gully/ poesy/intricacy/ delicacy”, see Poet), amongst other poetic mechanisms. Another poetic mechanism favoured by Choudhary is the play with contrasting words in meaning. This is seen even in the titles some of his poems carry (such as Friend and Foe, Death and Life, and The Poor and The Rich). In Foe, Choudhary contrasts the notion of “foe” (“A fallen angel”, “a venomous spirit”, “an out Herod-Herod”) to the notion of “poet” (“A celestial glitterer” – thus the notion that the poet as light and the one who leads to epiphany; “a man of spirit”, “a clean slate”). There are also many words and phrases that repeat themselves from one poem to the other (“party-pooper”, “Herod”, “minion”, “piggish”, “dexology”, “jewel”). In Life, Choudhary writes, “Life is a crown of thorns/ Death is a bed of roses” (for those who suffer). Structurally, Choudhary prefers regular stanzas, and in general makes use of the English sonnet format (three quatrains and a final couplet). From the lexical point of view Choudhary’s first choice are registers linked to nature (especially the microcosm) and Oriental and Classical mythology. That of Choudhary is not a simple language for readers not familiar with Indo-English. However, one does understand that his is a direct message, one with a moral, political and social stance. Throughout his poems Choudhary makes great use of exclamation marks. For example, in his first poem, Awake, Choudhary writes “Awake! Awake! Awake!”, “Arise! Arise! Arise!”, “Be conscious! Be conscious! Be conscious!”, and “O Sullen Trinity! O Almighty! O Sovereignity!” The poet does this on purpose in order to underline the urgency of the situation. In Kohinoor (the literary journal of which Choudhary is editor), the poet uses hyperbole. He calls this journal “a literary gander/ Reaches the highest rung of the ladder”. He also writes, “Enjoy juvenility”, in the sense that Kohinoor (thus, also poetry) also helps the reader to remain young. As he writes in Explorer, in My Songs Choudhary voices his feelings and preoccupations “in full-throated ease”. Arbind Kumar Choudhary expresses without fear a number of important issues in this small poetry book: the need to act immediately; the need to return back to Nature and abandon greed and power; love; beauty; suffering; drastic differences between the social classes; and a lot more. My Songs is a small book which carries an enormous weight, message and responsibility addressed to all mankind. It is the perfect example of the saying, “The word is more powerful than the sword”. And all this in a poetical language of his own. Zacharoula Gaitanaki has sent me these three beautiful poems. Like many other poets in the world, hers is a shout in favour of NATURE. I call the first two poems eco-poems. for all of us on the Earth. and the death encircled us. The hard work of an ant is continuous. when the hard winter will come. the ant will not have to care. when it was the time. a heap of food, stale bread. to be happy with all the things. has something to give you. then you will be always the winner. in the game of joy. My friend and poet from Greece, Zacharoula Gaitanaki, has sent me the following short biography and poems of yet another contemporary Greek poet. I know that many people follow my blog because they like reading about other writers and poets, not only from Malta, but also worldwide. So thanks again Zacharoula for sharing with us all the poems of this new poet. SPIROS KARAMOUNTZOS is a famous Greek poet and author. He was born in Karya, a village in Argolida. He was a teacher of the elementary education. Now, he is retired. His poems have been translated into English and have appeared in national and foreign Anthologies. His writing has received awards from national and international poetry competitions. He has published the book “WORDS of KARYA” with memories of his village and the collections of poetry: “HALCYONS” (2000), “STROKES OF THE BOW” (2004), “DEWDROPS” (2006) and “SHEDDING OF LEAVES” (2006). when it speaks about the past. with your mind and your eyes. I always step on the ground. to tell you: Go on ! can’t have a pale face. if I was very tedious. 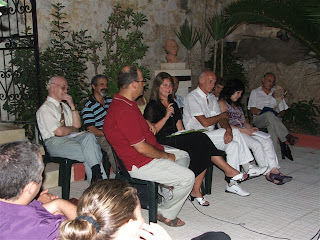 English translation by Zacharoula Gaitanaki. (1) Nhar il-Gimgha, 24 ta’ Lulju 2009, l-Ghaqda Poeti Maltin tellghet Serata ta’ Kommemorazzjoni f’Gieh il-poeta Ghawdxi Gorg Pisani. Proprju f’din is-sena jitfakkru zewg anniversarji marbutin ma’ Gorg Pisani: il-100 sena minn twelidu u l-10 snin minn mewtu. L-okkazjoni saret fuq il-Bastjun ta’ San Gwann, ic-Cittadella, Ghawdex, u dan taht il-patrocinju tal-Onor. Sinjura Giovanna Debono, Ministru ghal Ghawdex. Kienu prezenti wkoll is-Sur Anton Tabone, ex-Speaker tal-Parlament, u n-nutar Paul. G. Pisani, iben il-poeta. Fir-ritratt nidher qed naqra zewg poeziji tal-poeta Gorg Pisani. (2) Nhar il-Gimgha, 14 ta' Awwissu, tfakkar is-67 anniversarju tal-Konvoj ta' Santa Marija. Il-post fejn sehh dan kien id-Dwana l-Antika. Ghall-okkazjoni kienu mistiedna veterani tat-Tieni Gwerra Dinjija, dinjitarji u politici. Jiena qrajt diskors qasir dwar i-tifkira tal-Konvoj ta' Santa Marija. Il-messagg ewlieni kien li jehtieg li l-ghalliema u l-anzjani jghallmu lill-generazzjonijiet iz-zghar ikunu konxji tal-imghoddi taghhom halli jkollhom gejjieni dejjem ahjar, nieqes minn gwerer u kunflitti. (3) Nhar il-Gimgha, 21 ta' Awwissu, fir-Razzett tal-Markiz fil-Mosta, l-Ghaqda Poeti Maltin tellghet Lejla ta' Poezija ohra. Din id-darba mistiedna specjali kienet il-poetessa mill-Italja tat-Tramuntana, Paola Mara De Maestri (Morbegno, Sondrio). Waqt is-serata inqraw ghadd ta' poeziji mill-membri tal-GhPM, parti kbira minnhom bit-Taljan. Jiena qrajt bijografija qasira tal-poetessa u intervistajtha dwar ir-rahal minn fejn gejja, it-tematika u l-forom tal-poezija taghha u l-attivita' taghha bhala ghalliema u gurnalista. Fi tmiem is-serata l-GhPM u Paola Mara De Maestri sahhu r-rabta ta' bejniethom billi taw rigali lil xulxin f'forma ta' kotba u rikordji ohra.